IF you can’t be somewhere, seeing it on Street View is the next best thing. At least Google thinks so, and is now bringing the joy of Disney theme parks to people everywhere. 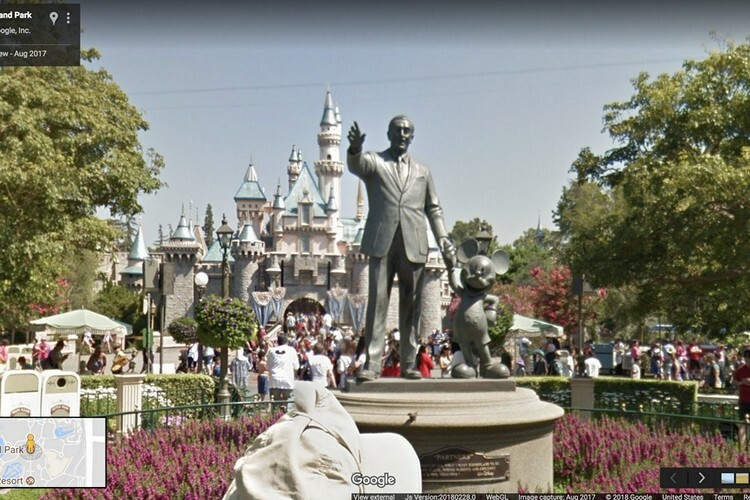 It is adding 11 Disney parks from around the world to Google Maps Street View, to allow you to take virtual tour of the castles, rides and other attractions in these theme parks. It’s interesting to note here that, Google and Disney have a history going back several years. The two had earlier collaborated for the Pixel 2 and Pixel 2 XL’s Star Wars-themed AR Stickers, and they have continued to work together to bring more Disney, Star Wars, and Marvel content to Google Play Movies & TV. The companies have also announced that more Disney games will land on Android going forward. Now that the Disney theme parks are on Street View, it will allow a lot many of us to visit these places without having to shell out the money needed to do so in real life. So in case you’re you’re interested, you can head on over to Google Street View and search for the newly added locations or scroll through the featured section and pick the park or attraction that catches your fancy. While Street View has become a bonafide virtual travel medium for many places around the world, we don’t see many such projects in India thanks to the government’s decades-old paranoia for non-official cartography, and showing sensitive locations. This means Indian cities and tourist attractions are invariably left out when it comes to the Street View experience. Thankfully, that’s not the case with other places and you can experience the reason millions love Disney’s theme parks right from your home.